A brief history or general information of Living Water Parish, Iqaluit (what you believe people should know). RCCG Living Water is a parish of the Redeemed Christian Church of God (RCCG), one of the largest and fastest growing Pentecostal Churches in the world. RCCG started in 1952 with just 12 members but has grown into a mega church with parishes spread across the five continents of the world under the present leadership of Pastor E.A. Adeboye and his wife, Pastor (Mrs) Folu Adeboye. 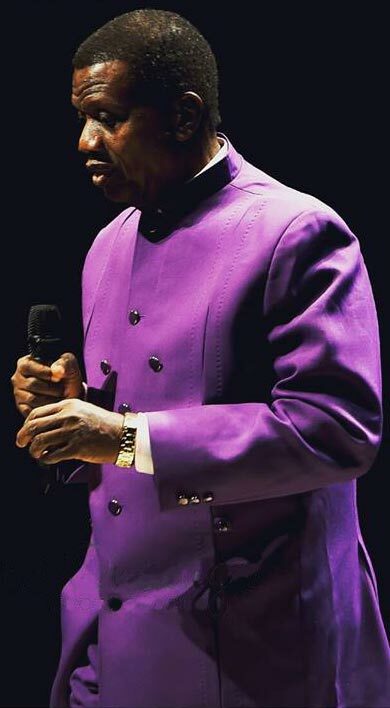 In 2009 when Pastor Rotimi & Adebola Lawal were seeking the face of God regarding their relocation to Canada and the Lord gave them a vision of a town under the administration of the Queen of England, dominated by local whites, their appearance was like the Aboriginals and their women were welcoming us and saying, “thank you for bringing water”. This vision was hard to interpret as we had no knowledge of Aboriginals and land ownership in Canada. In 2013 while leading the School of Disciples in Edmonton, we initiated a monthly evangelism outreach as practical into the discipleship training and a First Nation reserve in Hobbema, Maskwacis about 70km drive from Edmonton was chosen as the field for the outreach. It was in this reserve that the vision was re-ignited in our hearts and we started to seek the face of God for direction. In January 2017, Sister Bola was interviewed for a position with one of the employers in Iqaluit and selected for the job. She moved into Iqaluit on 7th of March 6th, 2017. The vison of 2009 was then clearer as the town topography and people that were seen in the vision were accurate and precise. Pastor Rotimi joined Sister Bola in July 2017 and the work of intercession, spiritual mapping and registration of the parish with the territorial government commenced. The parish was registered in September 2017. The inaugural service was conducted on 13th January 2018. Please join us as Ambassadors of Christ to dissipate the Light and Love of Christ to redeeming the Land, raising Leaders, especially Inuit Leaders and restoring inheritances. EMPOWERED BY GRACE to take as many people in Nunavut Territory, especially the indigènes with us to Heaven. PRAY STEADFASTLY until a member of RCCG is in every family residing in Nunavut Territory. To accomplish 2.1.1 above, we are committed (BY GRACE) to a daily life of Holiness. To accomplish 2.1.2 above, we shall make evangelism and witnessing our driving and motivating force through the power of the HolySpirit. Through selfless and Sacrificial Service, we shall plant Churches across the Nunavut Communities. Love- We demonstrate love practically. Integrity- We hold to integrity. We glorify our God through public and private worship. We grow in our faith by fellowship and equipping. We give ourselves away in service, mercy, evangelism and stewardship. Small groups.The first two sets of values are for our people at large and the third set of values is for our leadership. Baptism by Immersion: that following faith in Jesus, every believer is to be baptised by immersion in the name of the Father, Son and Holy Spirit. The Blood of Jesus Christ: which was shed for us on the cross at Calvary, cleanses us from all sin and grants us access into the presence of God. The second coming of Jesus Christ: that Jesus will come again to earth in glory and the dead in Christ will rise first, and those who are alive in Christ will be translated into the presence of God for eternity. The Holy Bible: as the infallible and authoritative word of God, given to direct all. Divine Healing: the restoration of health to the one who believes and acts out God’s word, and that Jesus is the Healer. God the Father: Creator of heaven and earth, who made man in His own image and likeness. The Trinity: the three persons of God; God the Father, God the Son and God the Holy Spirit, three in one. The Virgin Birth: that Jesus was conceived by the Holy Spirit and born of the Virgin Mary. The Death and Resurrection of Jesus Christ: that Jesus was crucified for the sins of mankind on the cross at Calvary, He died, was buried and rose from the dead on the third day; He ascended into heaven and is seated at the right hand of God the Father. The Holy Spirit: the comforter and teacher of all things who dwells within us, uniting us to Jesus Christ. The Baptism of The Holy Spirit: which is freely available to all who believe in Jesus Christ and the Holy Spirit; and is manifested by the gift of speaking in unknown tongues. Salvation: which is a gift from God through grace and faith in Jesus Christ; that all who believes in Him may be saved by turning from sin to repentance and trusting in His death and resurrection, are born again by the Holy Spirit.